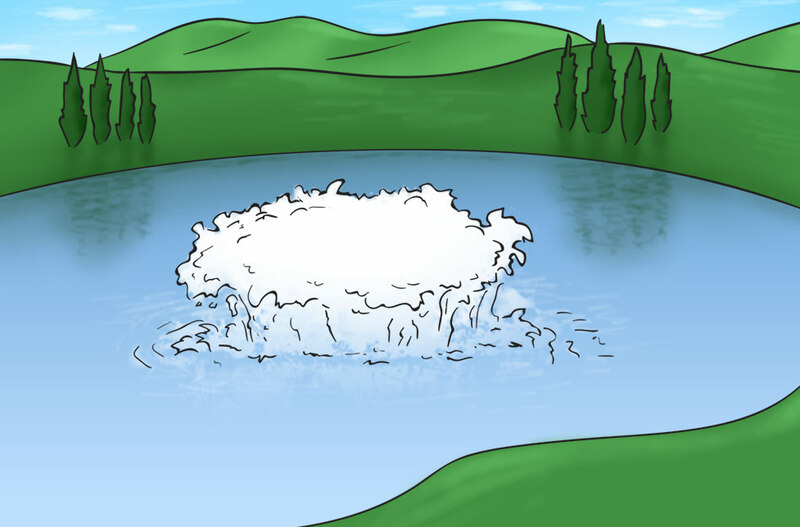 If you are in need of a basic understanding of pond aeration, we created the video below just for you. In this short video you will get a basic understanding of aeration and learn the difference between different types of aeration including diffused or sub-surface aeration and surface aeration. The most popular type of aeration and the most effective for ponds that or 6' or deeper, runs on electricity and aerates from the bottom of your pond up. 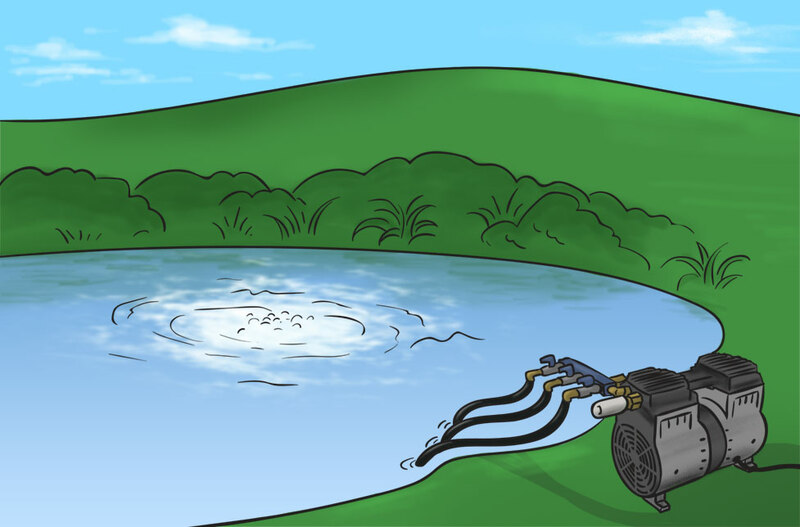 These systems are efficient at aerating small ponds and also make the most cost efficient and most effective large pond aerators as well. Deluxe pond aeration systems are the same as the diffused aeration system, however they also include a locking customized cabinet and a cooling fan. The air compressor is already installed in the system and it already has a valve outlet assembly, a pressure relief valve and a gauge installed. Since the electrical outlet is mounted ready for the incoming power line, it is easy to set up, simply set near your power source, set up the air diffuser and then connect all the tubing and you're ready to go. This what we could small pond aerators or ornamental aerators. 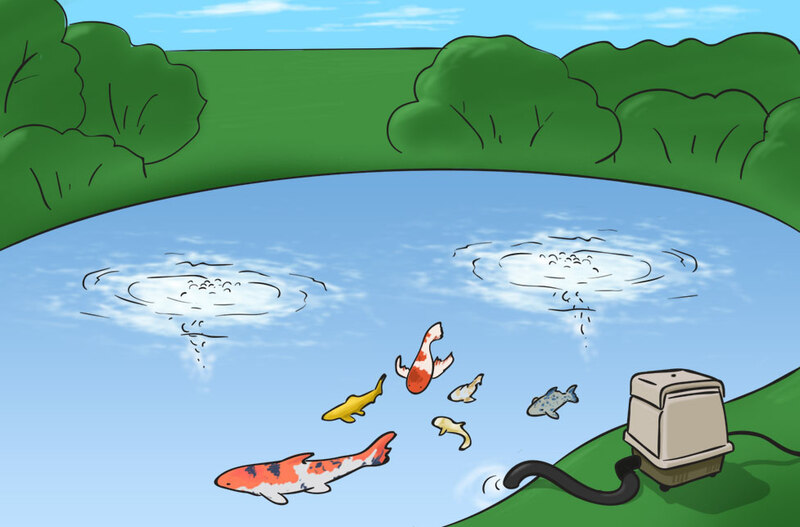 For very small ponds, such as ornamental, hobbyist or small koi fish ponds. Also a diffused type of aeration, however they require no electricity and run completely on wind power. 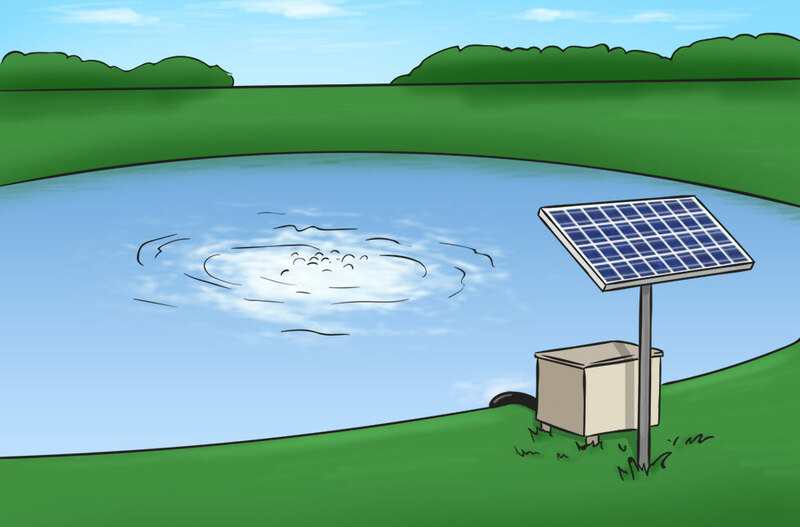 Excellent choice for remote pond locations that have no access to a power source. Also these units will practically pay for themelves by saving your money on your monthly electric bill. Shallow aerators are useful for shallow ponds that are less than 7' deep. These aerators are more energy efficient than aerators for deeper or bigger ponds or water features, with incredibly quiet operation. The aerators will provide you with years of efficient service with a long lasting, oil free design. All the parts are weather resistant so can be used outdoors, and the kit comes with everything you will need to set up your shallow aerator, including 50' weighted tubing. Deeper ponds, of more than 7' deep would need one of our airpro diffused aeration systems to service the entire pond. These diffused aeration systems run on 100% solar power. These solar powered systems are amazing, they can actually run for 3 days with no sunlight. Don't be fooled by lower priced cheap solar aerators, these systems are the "real deal". The best way to aerate shallow ponds that are 5' deep or less. 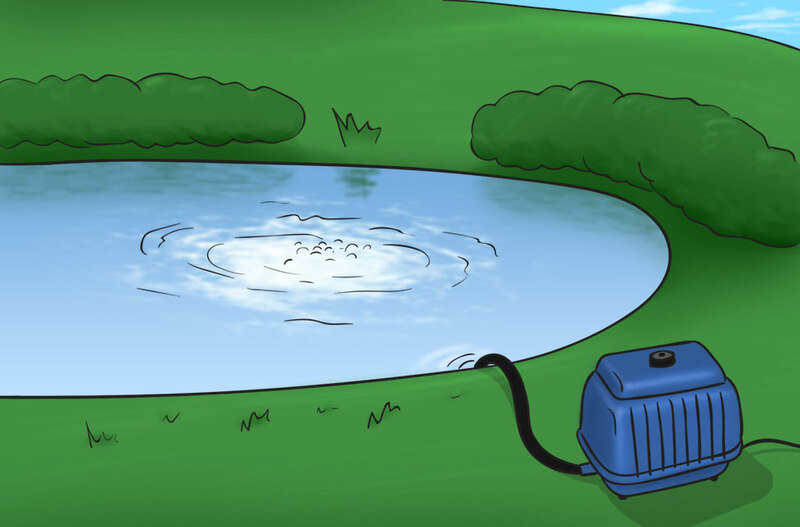 Moves an enormous amount of water quickly adding an abundance of oxygen to your pond. These units are always the best choice in shallow ponds. Kasco is a name that has been well known in the industry for decades. We are happy to offer their complete line of aeration products. They put out quality products for both surface and diffused aeration. 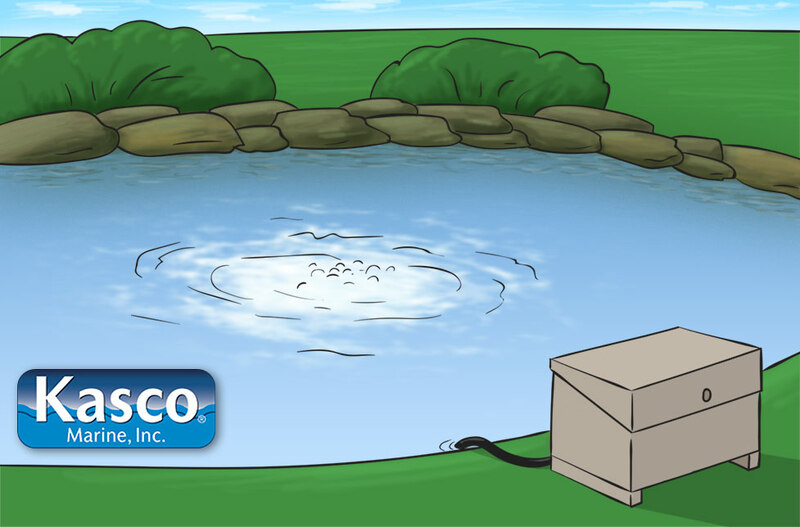 Keep your pond or lake healthy and clean with an aeration system from Living Water Aeration. We have a variety of styles to choose from including garden varieties, windmill aeration kits, solar powered aeration systems, diffused aeration, high-oxygen surface aerators and quiet-line styles. The exact size and style you need will depend on your particular setup, but there are some aquatic, eco-friendly options that work well for most water features including a windmill aerator, as well as solar aerators. 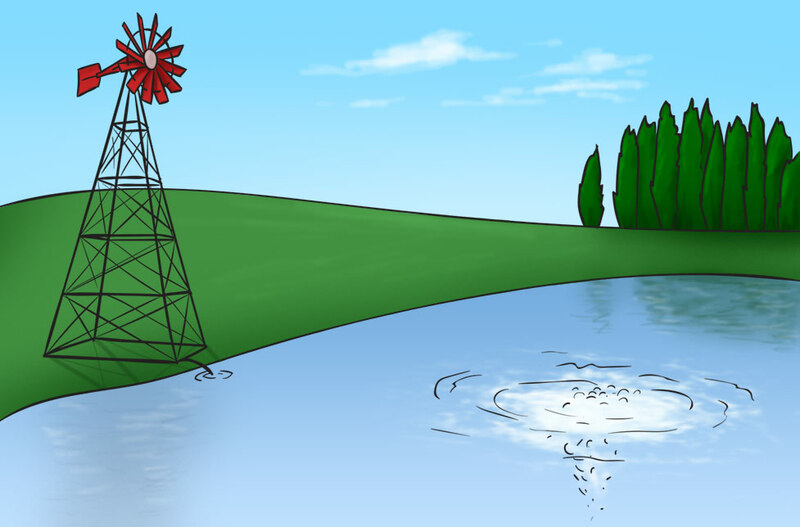 Windmill pond and lake aerators use the wind to operate while solar styles use the energy of the sun to generate power. Both of these options save valuable energy while relying on nature's resources to get the job done. 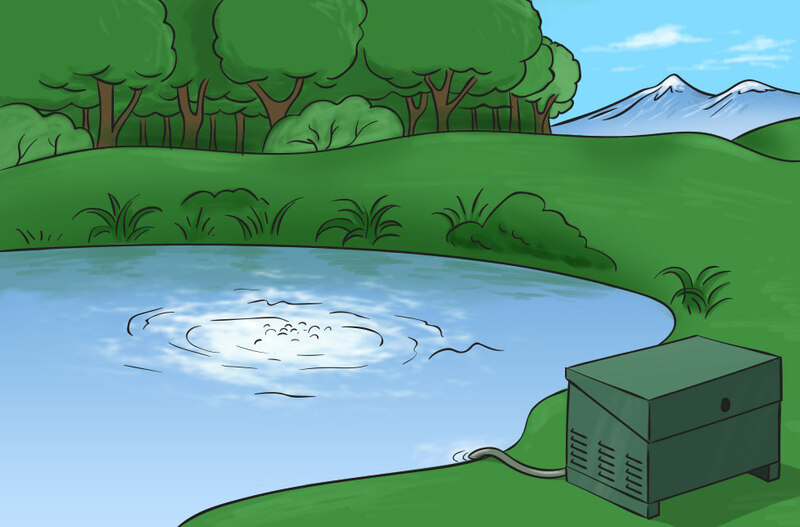 When it comes to pond aeration, windmill and solar types are popular choices, but a simple garden pond aerator and quiet-line style works best for small water features such as Koi ponds. Not sure what style you need? We can help! Give us a call and let us help you find the aeration system that is best for you. We pride ourselves on providing outstanding customer service and are happy to share our knowledge about pond products! Aeration isn't just our business, it's our passion. There is nothing more beautiful than a peaceful pond or crystal clear lake with a fountain adorning its waters. If your water feature hasn't been looking its best, shop our great selection of aeration products and take the time to beautify your pond. Ask us about our free proposals on custom pond and lake aeration systems!